﻿Mid-Atlantic Nephrology was founded by Dr. Michael Douglas in 1984 in the East End of Richmond. Dr. Douglas laid the groundwork for the growth of the practice in the early years. In the mid 1990’s, Dr. Russell Ellenberg merged his practice in Hopewell, Virginia with Mid-Atlantic. In short order, Dr. Sandy Gibson came on board establishing his base of operation in Petersburg, Virginia. 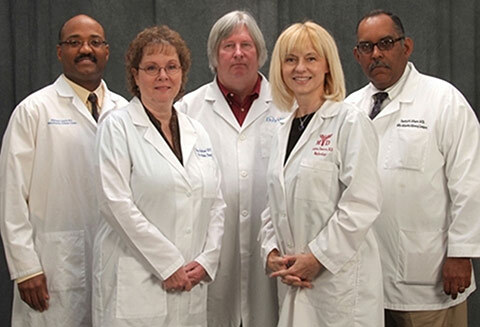 Over the ensuing years, the practice pioneered the deployment of mid-level practitioners in the field of nephrology with the addition of Nurse Practitioner Brenda Halstead in 2001. With the increasing demand for inpatient and office consultations, Dr. Richard Gayle joined the practice in 2002. Dr. Lozina Daneva joined in 2004. The early part of the 21st century saw a period of rapid development in the Midlothian corridor. The group sought to establish a footprint there. In 2005, we opened an office in the Colony Crossing Business Park. The name of the group was changed at that time to Mid-Atlantic Kidney Centers. Continued growth opened up opportunities for Drs. Ashif Jethava and Ziad Al Khouri to join our practice in 2018.